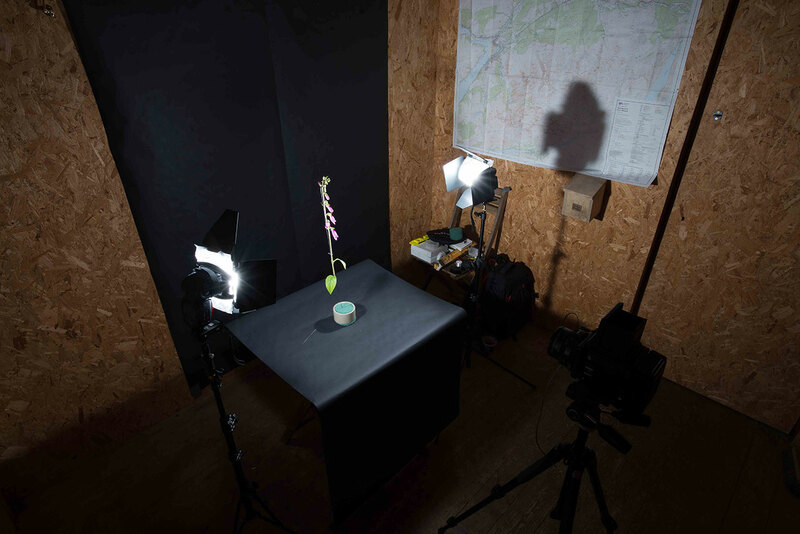 My residency at Outlandia was the perfect way to continue the studio work I had created the previous year. In April 2016, I volunteered with the charity Trees for Life, and used my afternoons at the Dundreggan tree nursery to create portraits of native tree saplings. 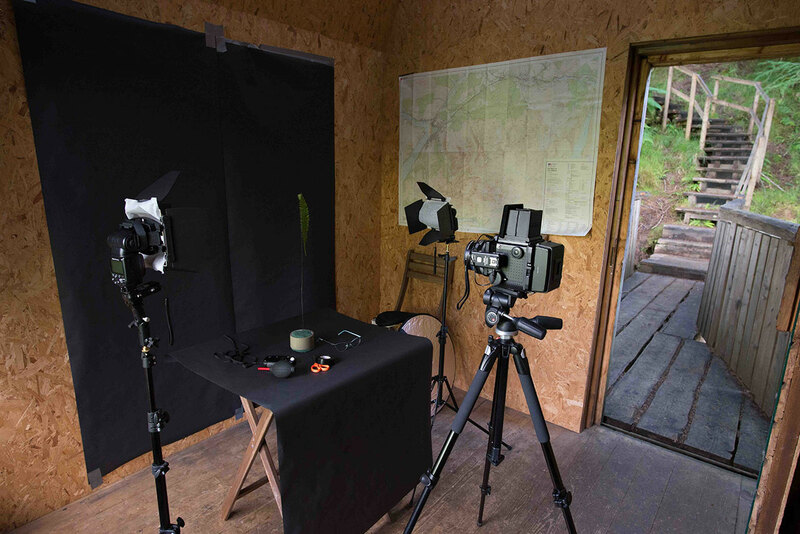 Armed with rolls of black paper, gorilla tape and a couple of crates from the nursery, I constructed my own photographic studio in a bird-watching hut behind polytunnels. This environment suited me far more than the clinical, dark studios within the photography department at university. I liked the idea of being able to set up a studio anywhere, and I'd spent my last year at university acquiring the equipment that would allow me to do so. 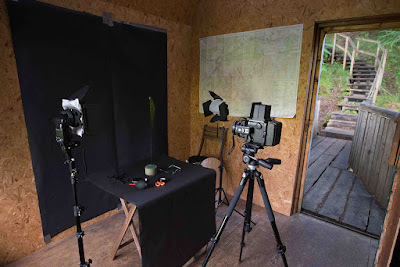 Setting up a studio in Outlandia was a test of how portable my equipment really was. 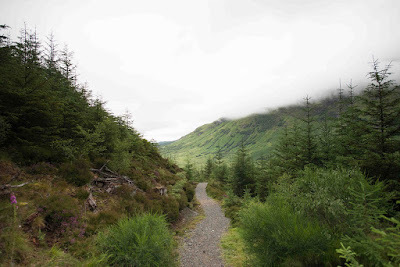 A 50 minute walk up Cow Hill from Fort William with one bag on my back, another on my front and a tripod case lugged around my shoulder ( I was determined to get everything up in one go) indicated that perhaps I needed to revaluate my kit. Following on from my interest in Scotland’s forestry, I wanted to use my time at Outlandia to create a portrait of the landscape through multiple still life images of natural specimens collected from the surrounding area. 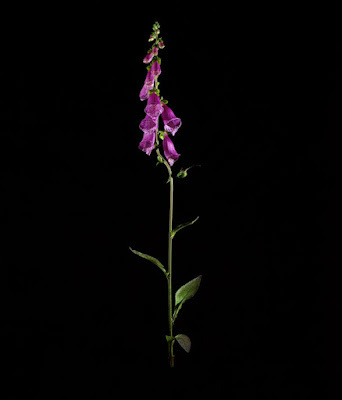 My fascination in the notion of the seed bank has led me to use photography as a tool to archive nature and preserve specimens through the photographic image. 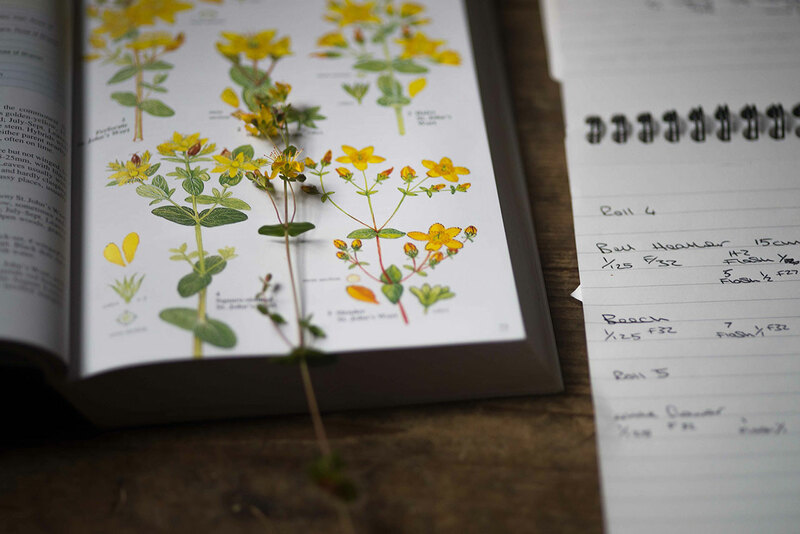 This scientific approach allows me to research species of trees and plants individually to then understand the wider environmental and ecological history of the landscape. 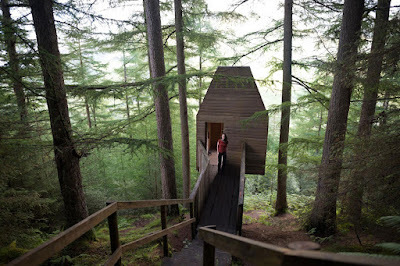 I had visited Outlandia before, but as a tourist rather than an artist in residence. Once walking down Outlandia’s wooden walk-way, I couldn’t remember how long it took until I reached the hut but it felt a lot longer than last time. My pace quickened in sheer excitement. After about 4 minutes of walking through the darkness of the forest, the suspended tree house appeared amongst towering Norwegian spruce trees. Armed, finally, with the key to this wonderful wooden structure, I opened the door and was greeted by Ben Nevis at the windows. The inside of the hut excited me but its emptiness also overwhelmed me. The creation of a masterpiece seems achievable when you imagine it, but when presented with the empty, physical space in which you set yourself the challenge, the finished piece feels far from becoming reality. I had placed immense pressure on myself to produce something truly momentous; something which reflected the extraordinary nature of the studio hut and environment itself. After completing my studio set-up and carrying out digital test shoots, by day 3 I already felt mentally exhausted from the self-inflicted pressure. This had been a reoccurring problem for me throughout my years at university and on day 3 I decided to confront this issue. Fortunately, I had nature on my doorstep and I allowed myself the freedom to wonder across the Glen to decompress. Perhaps the ability to freely wonder became slightly addictive and distracting. In order to bring focus to my daily routine, I used the 50 minute commute each morning and evening as an opportunity to explore and meditate. This exploratory commute was something I sorely lacked back in Edinburgh where my office sits a 10 second walk from my bed. Over the course of the week I began to understand the daily routine of the surrounding forest. Most memorably was the flock of chaffinches who flew around the hut and hovered by the window between 6-7pm. They were so quick and agile I failed at getting a good photograph every time. The walk to and from the studio enhanced my inquisitive eyes and the forest floor seemed to become more vibrant each day. As I began to feel part of the forest and its daily occurrences I also began to feel far more connected to the work I was creating. It provoked me to consider the photographic activities of 19th century colonials who created anthropological studies of native people in their homeland. It was often an entirely obtrusive and voyeuristic task where the natives were objectified and considered purely as scientific specimens. It’s hard to ignore the similarity to my photographic project. The most fundamental aim of my work is to highlight the importance of species in our landscape and encourage inquisition to better our relationship with nature. My connection, understanding and respect towards the surrounding landscape was therefore incredibly important to me in the production of my work, as well as the way in which I foraged for specimens and set them up in my studio. My residency at Outlandia became so much more than the project I had intended to do there. It influenced me to reconsider my creative process by offering me the physical and mental space to relax and explore. It encouraged me to adopt methods of dealing with self-inflicted pressures and procrastination whilst bringing focus through the freedom that I feel from being in nature.